After taking up photography while studying Fine Art, Alan Usher developed his passion while working in the photographic department of a newspaper. 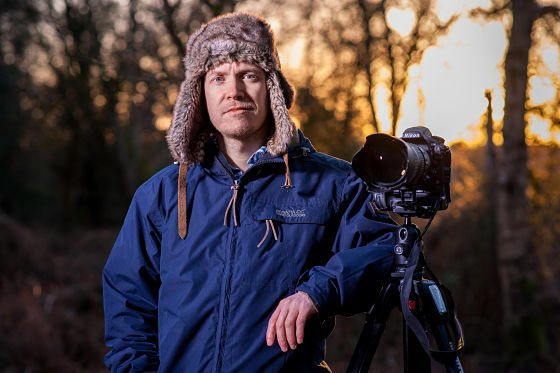 After gaining several years’ experience he decided to go it alone and in 2009, he set up Alan Michael Usher Photography operating in the King’s Lynn area. We spoke to Alan about the support from Nwes through the Signpost 2 Grow programme, and how this has boosted his business. Tell us more about Alan Michael Usher Photography? As a freelance photographer, I offer wedding, commercial and portrait photography. My background in art gives me a different perspective on composition, and means I am always seeking to be creative. What prompted you to contact Nwes? I realised that I needed to hone some of my business skills in order to take Alan Michael Usher Photography to the next level. Having already purchased a laptop with the intention of using it ‘on the go’ for my business, I realised I needed to make the best of the opportunity to be self-employed, and sought the support of Nwes. Through the Signpost 2 Grow programme, I received 12 hours of business support and mentoring with Business Advisor, Stephen Davies to give business a boost. I also attended free business skills workshops offered by Nwes, which has really injected momentum into raising the profile of the business. I was put in contact with other businesses that were able to help me with SEO and online marketing. I have also started to refine my brand after attending a marketing seminar, achieving a more streamlined look to marketing materials. What is the highlight of being self-employed? Fulfilling clients’ requirements has been the real highlight, and I have been able to document many interesting events all through his love of photography. With Nwes giving my business skills a polish, I now hope to become a well-known, established brand, and one of the ‘go to’ photographers in the area. I already have a better online presence and a better ranking result in search engines. It’s also good to talk to other business people in the community, both start-ups and existing companies, and get differing perspectives and solutions.